The four-piece will bow out with a concert from Dublin's Croke Park next month after a career in which they amassed 14 UK number one singles. Tickets for the cinema screenings, which will also seen in other European countries, go on sale at 9am. The June 23 concert itself sold out in five minutes, leaving thousands of fans disappointed. BBC Worldwide, the BBC's commercial arm, and content provider By Experience have agreed a deal with music giant Sony and Westlife to co-produce a live film of the event to be screened in more than 200 cinemas. The group said: "It is bound to be a hugely emotional night and we expect to have tears in our eyes for nearly every song. The fact that the show will be beamed to our fans in cinemas around the world only adds to our excitement." 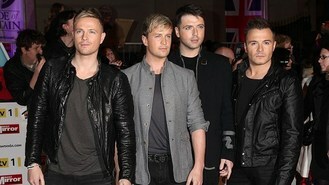 Details will be at westlifecinema.com.